“The drive up the mile and a half road to the campus ends in a most imposing sight,” said Melanie. “A magnificent two-story science building that dominates the landscape. With less than a year until the 2019 fall grand opening, Castaic High School administrators have selected the school’s official mascot and colors. The Mascot and School Colors Committee for the soon-to-be-opened Castaic High School have made their final decision on what will be the face of their school pride. The school’s official mascot will be a coyote donned in colors of charcoal gray, white and burnt orange, according to officials. Hart District Board Member Bob Jensen is talking about the highly anticipated career tech education program expected to be a heavy focus at the future Castaic High School. Slated to open to its first class of freshmen in August 2019, Castaic High School is set to include a state-of-the-art CTE program in response to the rising need for what Jensen described as “non-college curriculum” within in the district in the last decade. 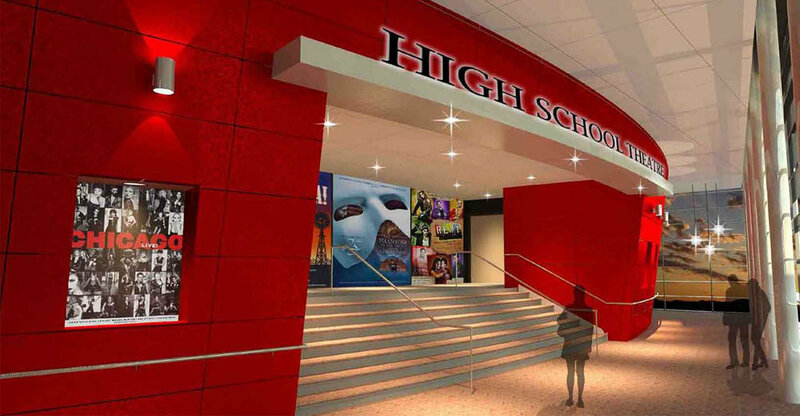 Slated to open to its first class of freshmen in August 2019, Castaic High School is set to be the seventh comprehensive high school in the William S. Hart Union High School District, according to Engbrecht. Nearly 400 people came to Castaic High School Friday for the “Countdown to Castaic High School” event, and for most in attendance, it was their first glimpse at the state-of-the-art campus still under construction. It was also the first chance many from the community, including roughly 25 current 8th graders who will be part of the first graduating class from the school in 2023, to talk with the school’s principal, Melanie Hagman. It’s a significant milestone on a lengthy journey: On Friday, local leaders, educators, parents and future students of Castaic High School gathered at the school construction site to officially begin the one-year countdown to the school’s highly anticipated fall 2019 debut. The mounting sense of relief is almost palpable. Two future Castaic High School students joined KHTS Radio to talk about the school’s highly anticipated grand opening slated for Fall 2019. Dallas Potter and Elly Keshishi, who are both going into the eighth grade at Castaic Middle School this fall, are expected to be part of Castaic High School’s first freshman class.